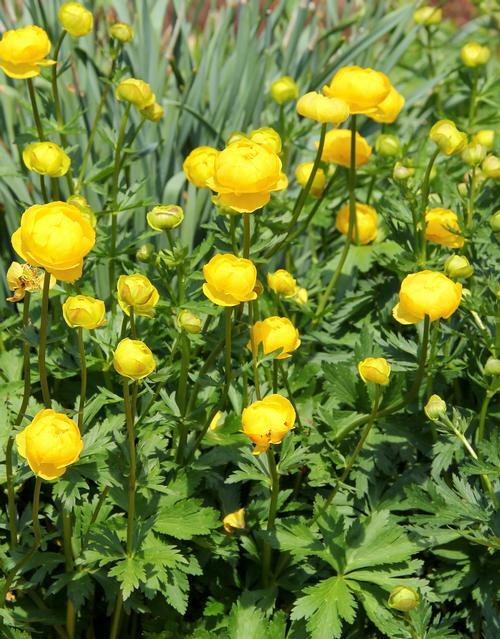 Superbus will bloom in late spring into early summer with 2" lemon-yellow buttercup flowers above dark green dissected leaves, this selection is more tolerant of drier soil. Attractive dark green deeply divided foliage. Large 2" globe-shaped flowers bloom late spring to early summer. Plants prefer moist soil.